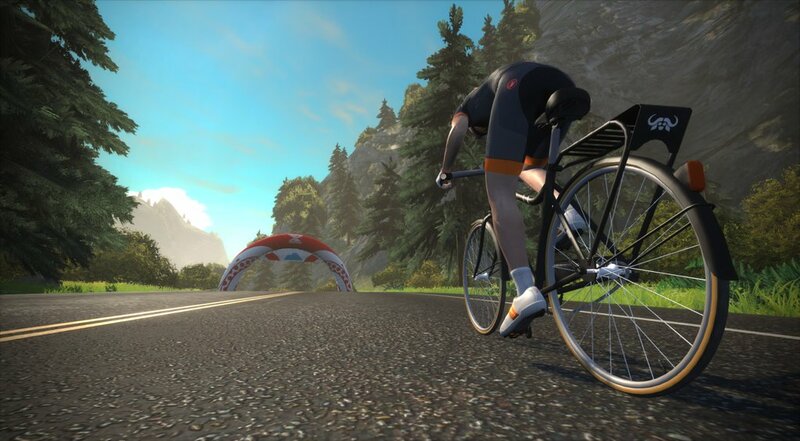 UPDATE: Zwift released update 1.0.9778 on 2/1/16 which modified the Buffalo bike’s weight and CdA. This slowed the bike down considerably, making it the second-slowest bike in the lineup. I’ve left the original article intact below. If you want to find out what the fastest bike is now, check out this post. 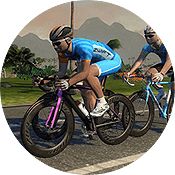 Many people don’t realize that the various bikes and wheels you unlock in Zwift are modeled realistically, giving you different aero and weight advantages. I’ve been running some lap speed tests on Richmond (see lap data, and some of my observations) and made a startling discovery just last night. The fastest* bike on Zwift? It’s the Buffalo Fahrrad. Yes, you read that right! The humble Buffalo bike, the ~50lb single speed with a coaster break, is faster than the Cervelo S5. Obviously the bike doesn’t have weight 50lb on Zwift, otherwise nobody would have ridden it for the WBR event. In the real world, Buffalo bikes aren’t built for speed: they are built to be reliable, heavy-duty and low-cost. Buffalo bikes are built in Africa, with the goal of changing the world by providing low-cost transportation. Read more about the real-world bike specs here, and more about WBR here. *: the TT bike is actually the fastest, but since it’s not allowed in races I don’t include it when considering which bike is the fastest for everyday Zwifters. Is there any difference between the bikes, apart from TT? I ride a steel one, but when I used the Buffalo didn’t notice any difference. Is there any way to gain access to the Buffalo bike at this time ? That would be very cool to see one in a ZTR. I’ll probably use it in the ZTR-EB tomorrow now that I’ve seen this. Super bummed I wasn’t aware of the event/unlock. MUST GO FASTER. MUST GET THAT CERVELO. Eric, you should certainly test the TT bike if you haven’t already. TT is allowed in all KISS races and is used very effectively. There is also some suspicion that it’s aero cda out does a drafting Road bike. Some even think it drafts even though its not intended to. I’ve tested it already by itself, just for lap speed. Definitely the fastest bike (see http://zwiftinsider.com/test-lap-data/). Haven’t done any testing of its ability to draft, since I haven’t put together a reliable way to test drafting yet. Any update on this? What’s the fastest combination now? Zwift Concept? Canyon with 808s? S5 still? 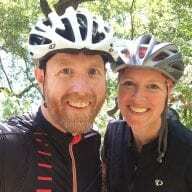 Do helmets vs no helmet effect drag in zwift? What about now, with the aero helmet options? Thus far in our tests, what you wear on your head doesn’t affect your speed one bit.